Ocean-themed classrooms are SO much fun! 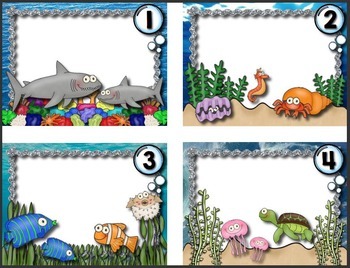 If you have an ocean theme in your class, you'll DEFINITELY need these editable desk tags and cubby tags to tie it all together! 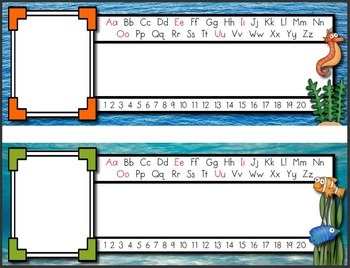 - Four different styles of desk tags (text box/photo, text box/no photo, manuscript lines/photo and manuscript lines/no photo) in a variety of ocean themed designs. So cute! 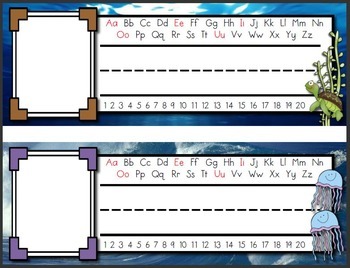 I've provided both a PDF file (for those of you who would rather just print, write and be done) and an EDITABLE Power Point file to allow for editing names and adding photographs. All necessary directions are included. 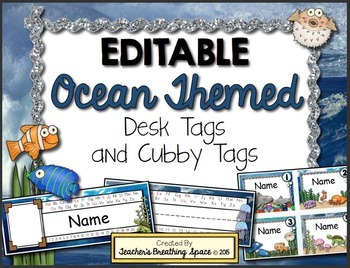 ALL TEXT IS EDITABLE - just add names and a photo (if you choose) to each desk / cubby tag. The graphics and backgrounds are fixed and CANNOT be changed.